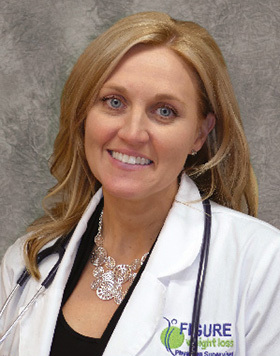 Dr. Duber lives in Nelson County with her husband and 4 children. She earned her medical degree from Kirksville College of Osteopathic Medicine in Missouri and completed residency training in Emergency Medicine at The Cleveland Clinic, South Point Hospital in Cleveland Ohio. She is board certified in Emergency Medicine. Dr. Duber is dedicated to providing compassionate and individualized care to our patients by helping them achieve their weight loss goals by promoting overall wellness and encouraging lifestyle changes that are sustainable and result in optimal success.